Men's Slim Fit Shirts Just $14.99! Down From $90! You are here: Home / Instagram / Men’s Slim Fit Shirts Just $14.99! Down From $90! Men’s Slim Fit Shirts Just $14.99! Down From $90! For a limited time only! 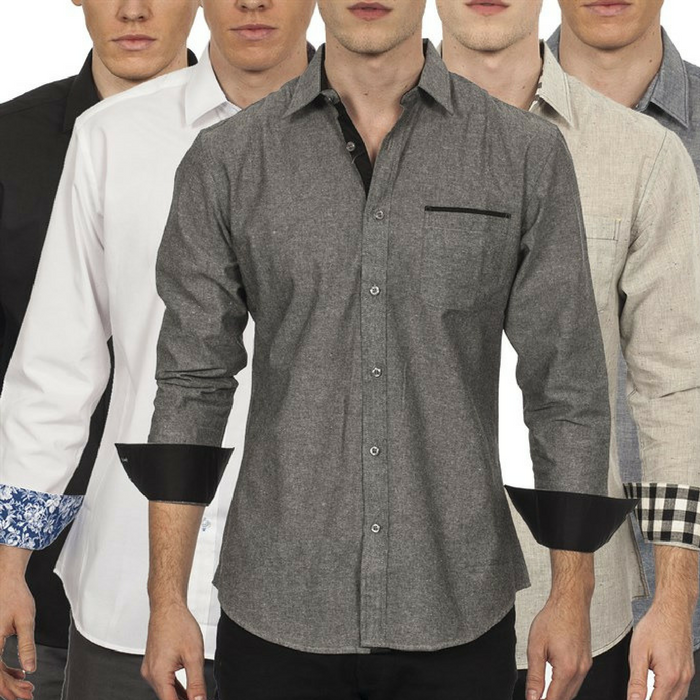 Hurry over to Jane where you can get these Men’s Slim Fit Shirts for just $14.99 down from $89.99! Shipping is $3.99 for the first item and free for each additional item! The Warriors & Scholars Slim Fit Long Sleeve Button Down is perfect for any occasion. Wear it tucked in to work, or tucked out on date night. All styles come with a contrast patterned fabric inside the collar stand and cuff. The engineered fabric will keep you comfortable and wrinkle-free.